TconcepT Designs Innercity Project in Duisburg. 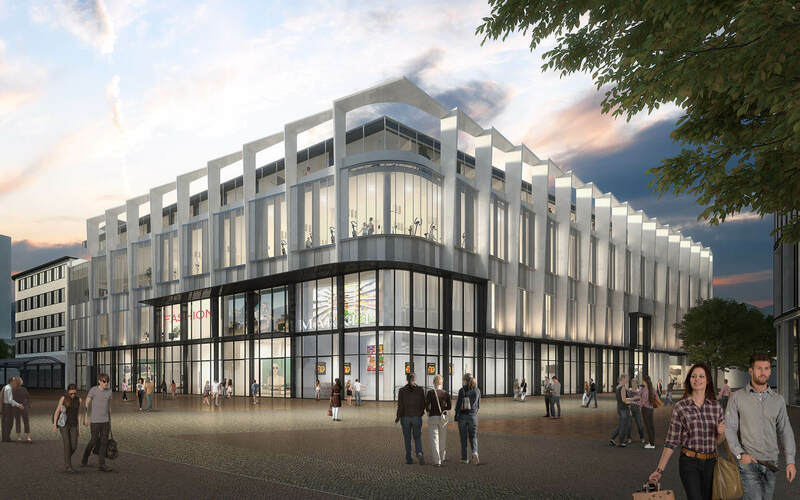 The german Developer Fokus Development plans to realize a commercial building with office and retail use on the site of the old municipal library in Düsseldorfer Straße, Duisburg. An anchor tenant from the textile sector is foreseen for the approximately 7.000 m² retail area. In addition, there are plans for offices on a surface area of around 500 m² on the second floor. Read more about Developer Fokus Development here. Previous Post (p) Construction of the Office Building Danzigerkade in Amsterdam Has Started!